Manchester United have been handed some excellent news ahead of the summer transfer window as Bayern Munich will allow Robert Lewandowski to leave in the summer. The Polish striker, who turns 30 in August, has been prolific in the Bundesliga over the past seven seasons – the last four with the Bavarians after joining from rivals Borussia Dortmund in 2014. 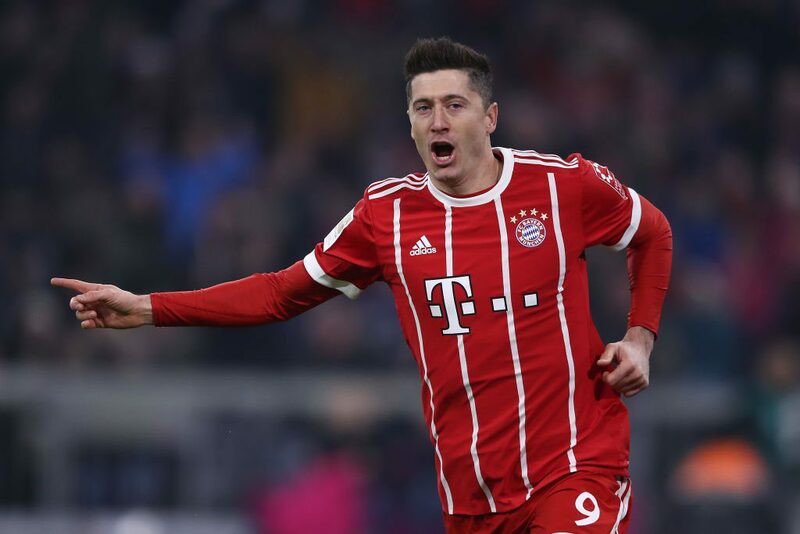 Although Jose Mourinho says he is happy with the performances of Romelu Lukaku, there’s no doubt that Robert Lewandowski could be an upgrade at Old Trafford given how prolific he is both domestically and in the Champions League with his current club. The striker has netted 40 goals in all competition this season – 29 in 29 Bundesliga appearances (23 starts), five in his 11 Champions League matches, five in his five German Cup matches and one in the German Super Cup to start the season. Italian outlet Calciomercato (via the Express) are now reporting that the five times champions of Europe are willing to sell Robert Lewandowski over the summer. The report also states that we are interested in the player. We reported back in March that we were leading the race to sign the Polish international and now that his club are willing to sell him could mean that it’s just a matter of time before he becomes a Manchester United player. The report in the Express does not mention a potential transfer fee nor does it state any other teams showing interest in the hitman.